The brand was founded at the end of 2014 as an opportunity to combine Lucrezia Maria Monaca studies and the world of luxury with the purpose to satisfy a market need: elegant shoes with a contemporary twist. It focuses on high-end market with the spirit of creating not just a shoe but a piece of art thrilling at first sight and adapting perfectly to any foot shape. The quality is very high; maximum attention is paid to the materials used, all of high quality, and to the samples production. The designer is involved in every production step, from the raw materials to the final product. She drew inspiration from the world surrounding her and her deepest passions. She has always been fascinated by the fashion world, not in its most frivolous meaning, but as a vehicle to express your personality. The brand’s MISSION: recreating the personality of each woman in each shoe. The intent is to combine tradition, research, innovation and competence craftsmanship. It is no coincidence, in fact, that the shoes are produced in Vigevano, always known for his starring role in the footwear industry and Naples, renowned for the craftsmanship. The products are 100% Made in Italy and hand-finished in their details. 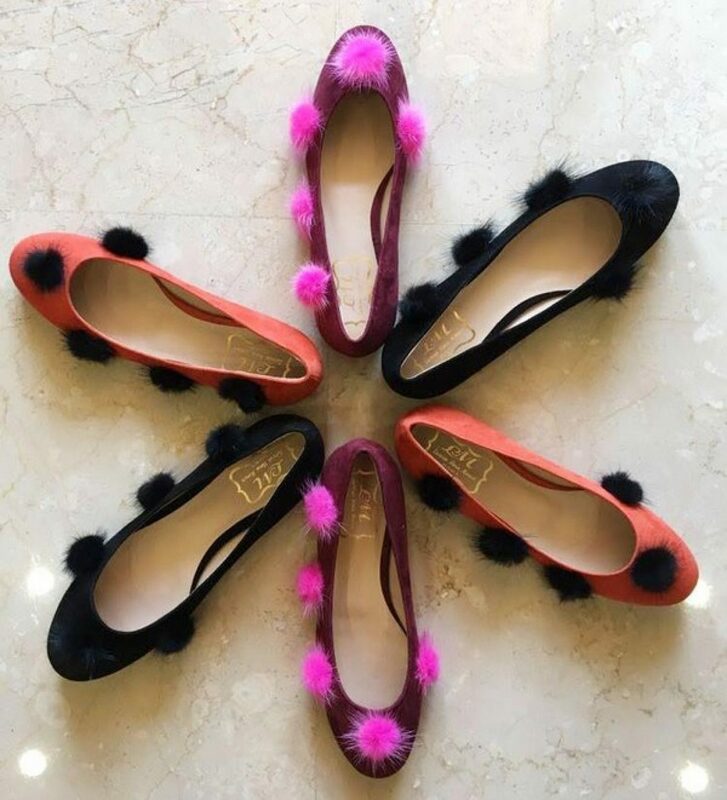 Our customer has to be able to wear our heels from dawn to dusk, and thus the collection offers different heel heights: flats and 7 cm heel to wear all day long, 10 cm heel for special occasions, giving the right to our customers to be pampered from something that makes them dream, feel beautiful and admired. These shoes factories are also a synonymous of quality and reliability because they have collaborations with important market players such as Christian Louboutin, Manolo Blanik, Oscar De La Renta and Salvatore Ferragamo. Lucrezia Maria Monaca tries, metaphorically, to put herself in her customer’s shoes. She imagines who wears her shoes as a optimist luxury elegant woman that does not take herself too seriously, capable of going from casual to glamorous, been always thoughtful to quality and details, and always ready to play with fashion. To see the new collection BOOK AN APPOINTMENT NOW.